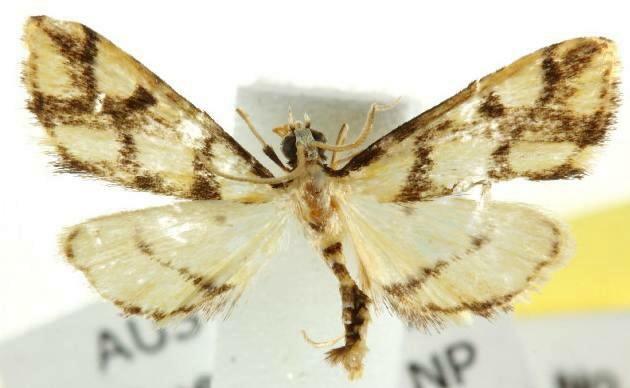 The moths of this species have pale yellow forewings each with a dark brown line along the costa, and a large dark brown Roman numeral XI on the wing (or IX on the other wing). The hindwings each are pale yellow with a prominent dark brown curved band across each wing. The wingspan is about 1.5 cms. Volume 39 (1914), pp. 551-552.